Jade goes to St. Francis, a private school across town, while most of her neighborhood friends go to the local public school. There are a lot of good things about her school, but she has mixed feelings about the "opportunities" offered by some of the adults there. One of those includes a mentoring program for women that guarantees a scholarship, and Jade reluctantly agrees to participate. Some of the assumptions made about "girls like her" are particularly frustrating, because Jade doesn't feel she should have to explain what's wrong about those assumptions. This is a story about finding your way. 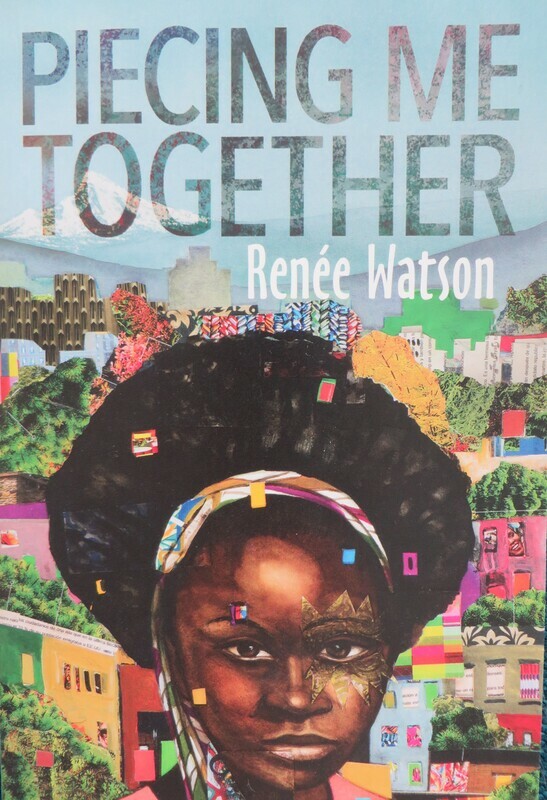 Renee Watson writes about contemporary topics like body image, racism, and class in a voice that is powerful and important. Jade walks in two worlds that overlap, but don't quite fit together. Her frustration at a white friend's refusal to acknowledge racism, or her mentor's expectation that she "performs" correctly in public, or the dichotomy of adults who intend to offer help but also imbue a sense of stigma - these things are expressed clearly through Jade's perspective in ways that might not occur to wealthy white readers. Jade's relationship with her mother is well-drawn, and there are several scenes that are intentionally uncomfortable - the author isn't hiding from the reader. I like the way Jade is shown using her art to work through conflicts, and many readers will connect to that, even if they don't use Jade's particular art form (collage and photography). "I think about this as I ride to school. How I am someone's answered prayer but also someone's deferred dream."